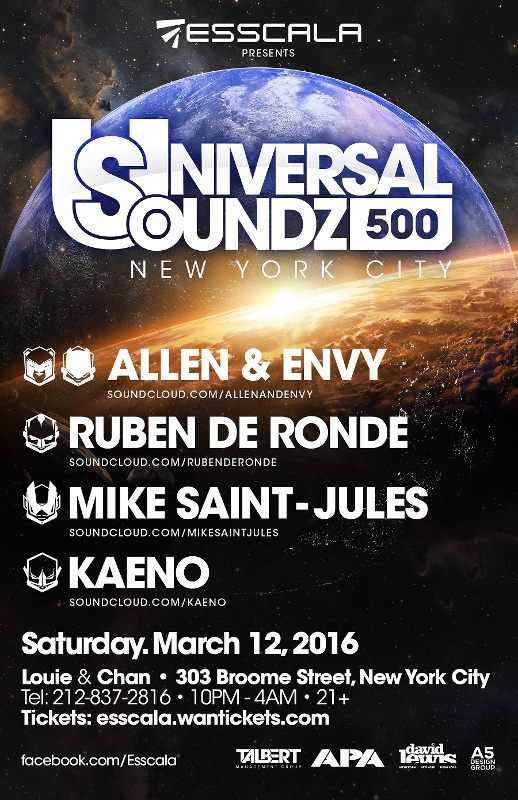 Party107 resident Mike Saint-Jules will be celebrating 500 episodes and 10 years of Universal Soundz on the air with a massive live event in New York City on Saturday, March 12th! Joining Mike on the decks for this epic night of tunes will be Ruben de Ronde, Allen & Envy, and fellow 107 resident Kaeno! If you will be within walking, biking, driving, or flying distance, you won't want to miss out on this show. Grab your tickets now via Esscala Entertainment. Congrats to Mike on this impressive milestone!